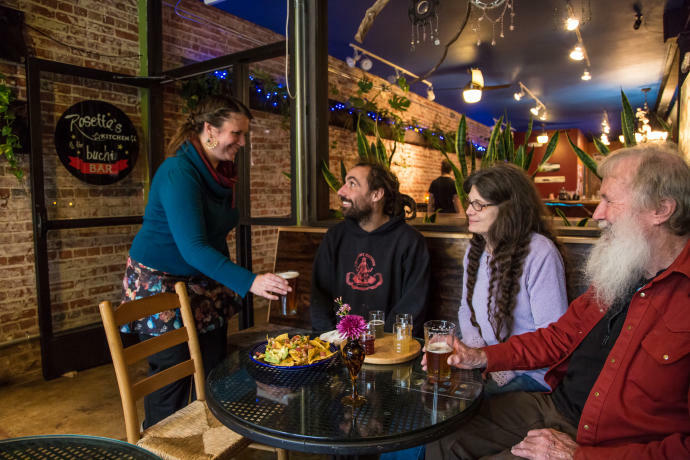 To understand Asheville, past and future, visit Rosetta&apos;s Kitchen. 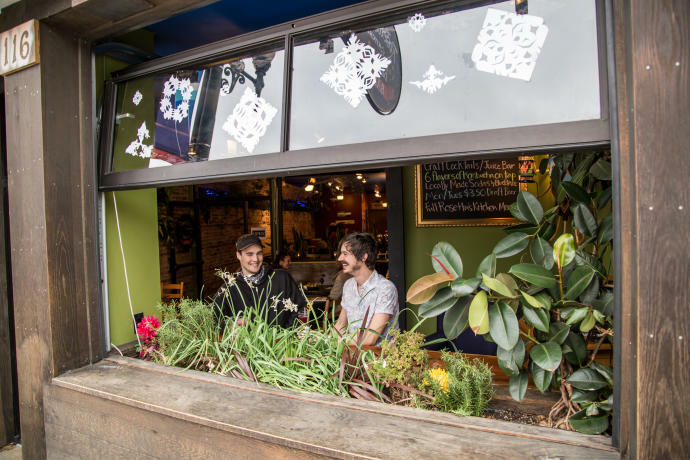 With a chic bar, the stalwart vegetarian restaurant is more accessible than ever while providing an experience that remains uniquely Asheville. "As a business, we try to embody the city," says owner Rosetta Buan. "We&apos;re not the middle of the wave; we&apos;re the froth on the tip as a business and as a city." 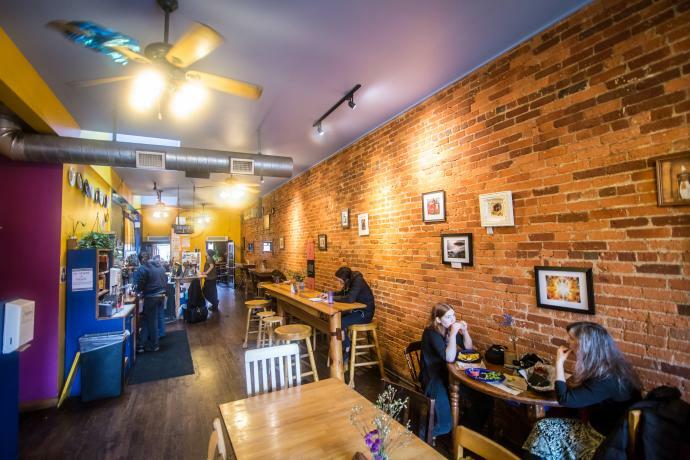 The upper-level vegetarian restaurant opened in 2002, just as Asheville was beginning to grow, serving meatless comfort food while showcasing local art, activist pamphlets and an array of succulent plants. It offers a unique "sense of place," Buan explains. 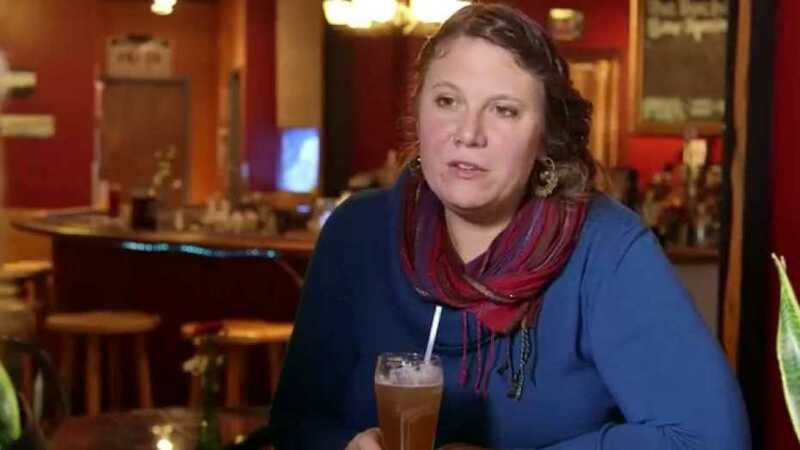 "I think of us as planting little seeds of interest in all the different ways that Asheville is pushing the boundaries, and there&apos;s a lot of ways: health, environmental, political, social. People come here to learn about new culture." If the upstairs kitchen represents Asheville&apos;s irreverent teenage years, the downstairs Buchi Bar, opened in 2014, shows its refined, thoughtful maturity. Buan says the Buchi Bar is a "public living room." 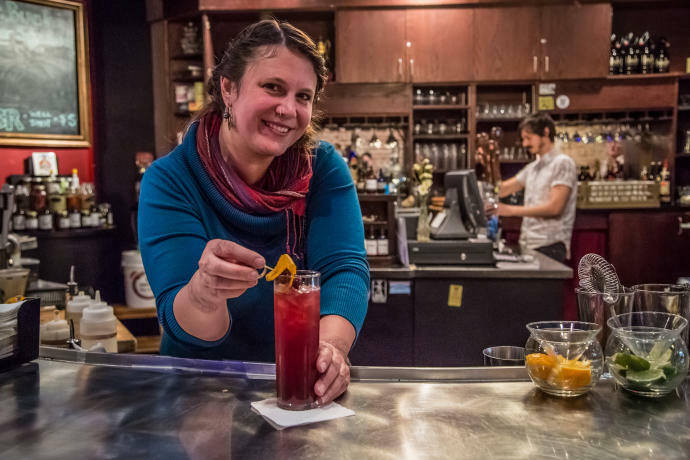 House-special cocktails are crafted from beet juice, ginger and other fresh juices, and kombuchas and sodas (produced by local businesses) offer intrigue for those who forgo alcohol. Best of all, the food favorites from upstairs-sweet potato fries and coconut curries-travel to the bar via dumbwaiter. Buan&apos;s goal is to serve everyone who wants to immerse in the city. "We&apos;ve thrown our arms open wider and wider and wider," she says. "We&apos;ve evolved as Asheville has evolved, and now, we really are embracing the destination that Asheville has become. We get the coolest tourists."